Mira here today with very simple idea of documenting changes in Your and Your family members life. First of all - I love layouts with huge pictures! Don't You? There is something magical in them - I don't know what but I love it! Whenever we celebrate birthdays in our house I tend to create big-picture layouts. And they go straight to my PL Album! 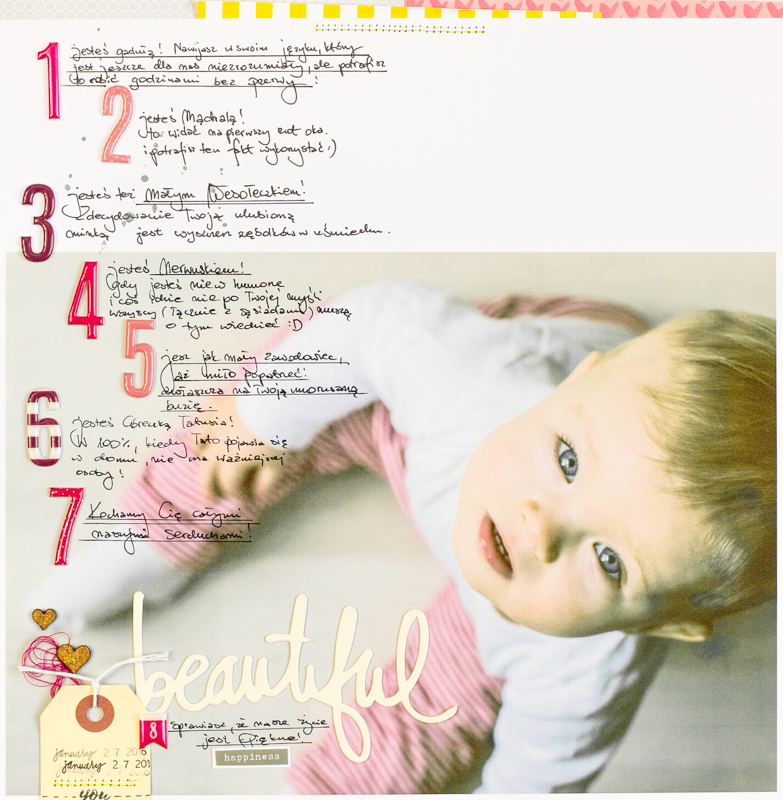 I promised myself that when my daughter will be growing up - year after year I will do the same: birthday layout with a few points of journaling telling the most important things about her! So currently Ola is one year old, and even though she can't speak, she is a real babbler. She can talk for hours using this strange language of hers - and I admire that! She is also a wise guy and super cheerful girl with a million-dollar smile. She can sometimes be really nervous too. She loves eating and she's definitely a daddy's Girl! She makes our life beautiful and we looooove her to the moon and back :) In short - this is what my layout says. I created this page with absolutely wonderful February Pocket Life "Stories" kit and Sprinkles kit from Citrus Twist Kits. I especially love that pinkish numbers from Sprinkles kit, that helped me with journaling! They are adorable and even though my layout is very simple they stand out from the first glance! 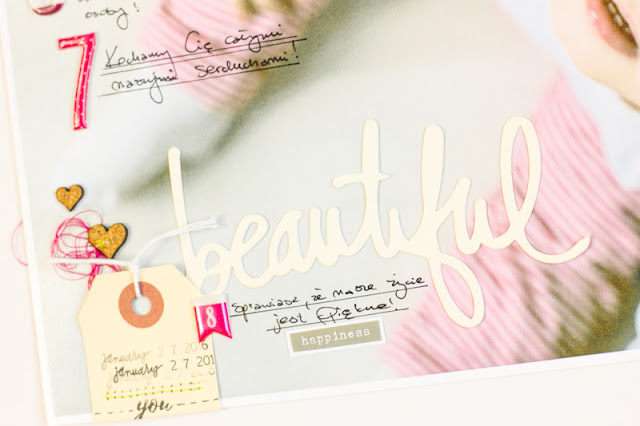 And for the title I used this amazing die-cut paper word "beautiful" by Heidi Swapp coming from PL Kit. Don't You just love this cute handwriting? Do You think it is manageable to create layouts like that for every birthday in Your house? I really hope I can do it (keep Your fingers crossed for me, please)! It might be real fun to go through those pages after 18 years or so, don't You agree?